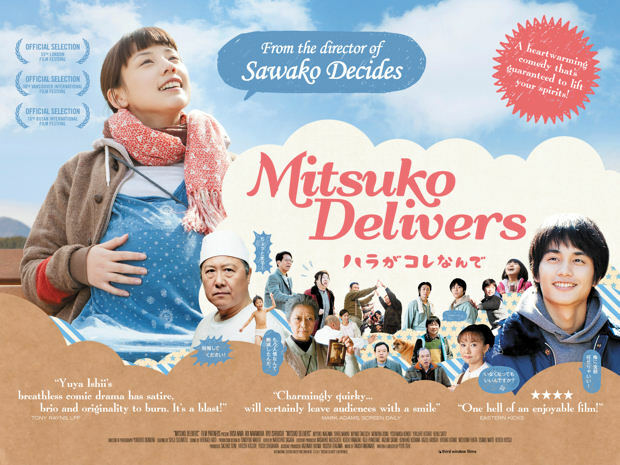 Ishii, a 2010 Fantasia Film Festival grand jury winner for Best Film with Sawako Decides, presents an achingly charming and quirky comedy set in a rural Japanese village. The depressed community undergoes a radical shift in mood with the return of the titular female character, bulging at the midriff from a romantic U.S. interlude (constantly referred to as “very big and very black).” Decidedly heightened in tone and characters’ behavior, yet grounded enough to retain a measure of emotional resonance, with engaging meditations on defining (and redefining) what is “cool” (or “uncool”) and the importance of speaking one’s heart sooner than later (but better late than never). An utterly winning film that leaves itself open to future installments, and who wouldn’t want to spend another few hours with this colorful crew?